My local photo club is a member of the Photographic Society of America (PSA). We have begun to enter their club level contests for digital photography. The club entry is six pictures from at least four different photographers. 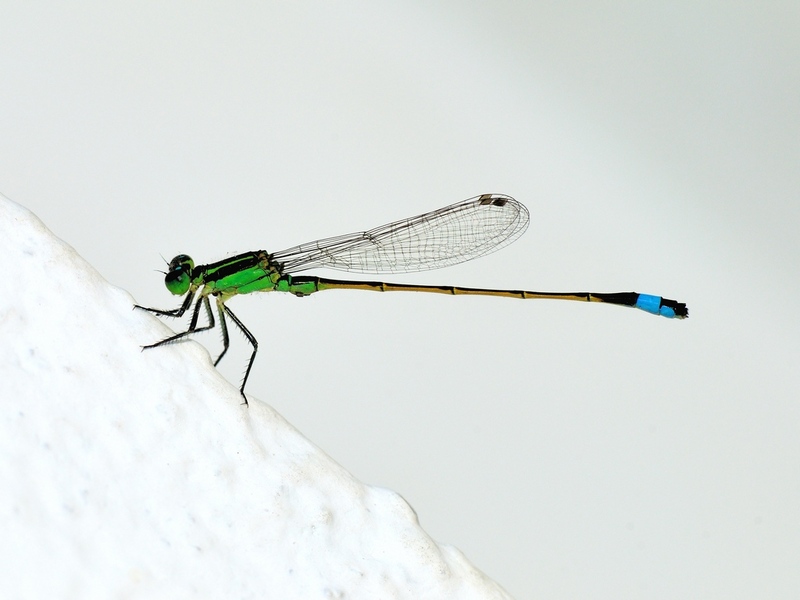 This picture of a Ramburs Forktail damselfly was selected at the club level and entered. The pictures are judged individually and the scores added up to get the club score. We found out that this picture won an honor in the national competition scoring 12 points of a possible 15. Yay!!! The club, as a whole, finished in the top third in a national competition in our first attempt. Thanks for pointing out the immature night heron! What a treat! Also, thanks for your card, and the great job you are doing with your blog.